I saw these two gorgeous watches online this morning. I’ve been wanting a Timex watch for the longest time and now I finally found one. 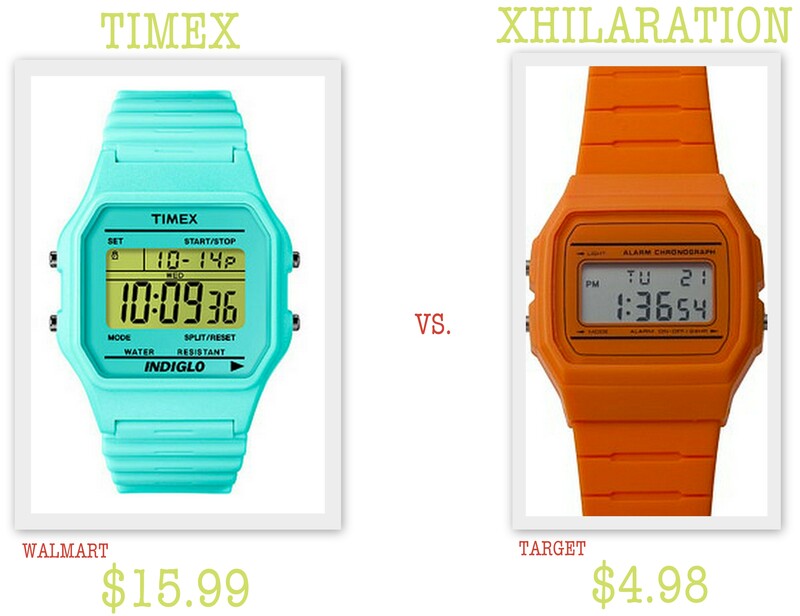 I have to give Target props for the great Timex look-alike. In a side-by-side comparison, both watches are winning. I think I’ll get the turquoise one, though, so I can add some pop to my outfits! That’s a really good (super) cheap alternative. For less than $20, I think I would pick the turquoise one too. I just got the mint green band for my Timex Weekender at Target and I love it.